The computer always keeps watch and it never lies. So when the computer says that Eric Wanbois’ ID, and only Eric Wanbois’ ID, was used to enter a locked room one night, the same night and the same locked room in which a grad student is found brutally murdered, the police are sure they have their man. Even Eric’s lawyer accepts his client’s guilt. But Eric insists he is innocent, and Dieter Fox – fellow grad student and voracious reader of detective fiction – believes him. And as luck would have it, I’m Dieter’s roommate; his Dr. Watson and Capt. Hastings, all rolled into one. To solve the case, Dieter (and I) must figure out how Eric’s ID was used three times that night though Eric claims he used it only once. And who is the mysterious stranger seen inside the room hours before the murder? As Dieter and I start to dig deeper we discover that there is no shortage of people who hated the victim, including the victim’s lab mates and his ex. But who among them hated the victim enough to kill him? And why? The Natural Victim is the first in what will be a series of mysteries set mostly in and around The Ohio State University and Columbus, OH. Peter Reynard grew up a fan of Agatha Christie and Earl Stanley Gardner. 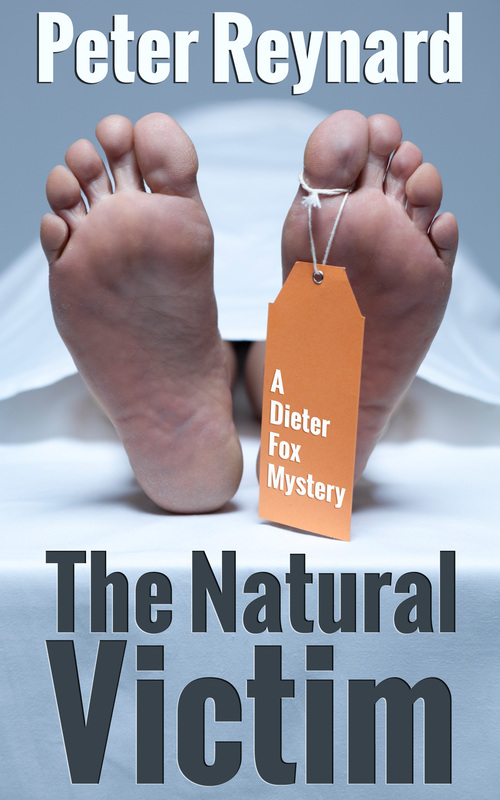 The Natural Victim, his first book, is a christie-like effort at recapturing the golden age of mystery but in a contemporary setting: the campus of his alma mater, The Ohio State University.